Hewlett-Packard, the world\'s top personal computer maker, announced Thursday it is considering spinning off its PC unit in a historic shift away from the consumer market. US computer giant Hewlett-Packard announced Thursday that it was buying British enterprise software firm Autonomy for $10.24 billion. 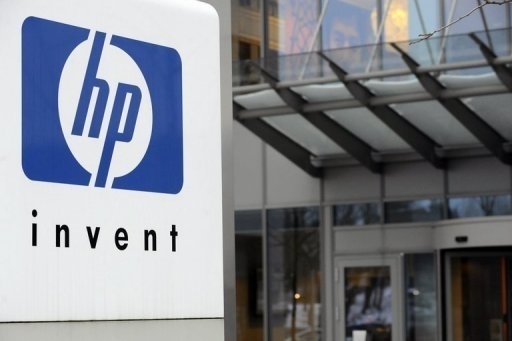 In line with a strategic realignment towards software and solutions for businesses, the Palo Alto, California-based HP also announced it was buying British enterprise software company Autonomy for $10.24 billion. HP said it will buy all of the outstanding shares of Autonomy for £25.50 ($42.11) per share in cash, a premium of 64 percent over Autonomy\'s closing price on the London Stock Exchange on Wednesday. It said the deal had been unanimously approved by the boards of directors of both companies and should be completed by the end of the year. In a further move away from the consumer space, HP said it was discontinuing its TouchPad tablet computer, its rival to Apple\'s iPad which was introduced just seven weeks ago, and phones based on the webOS mobile operating system acquired from Palm last year for $1.2 billion. Trading in HP was briefly suspended on Wall Street as the firm published quarterly earnings ahead of schedule and made the block-buster announcements. HP shares were down 3.1 percent at $30.42 when trading was suspended around 3:05 pm and resumed their downward slide when it resumed to close at $29.51, a loss of 5.99 percent for the day. HP\'s low-margin PC business has been the subject of separation rumors for months, and HP shares have slumped this year amid investor concerns that the company is being overtaken by younger, nimbler rivals. Leo Apotheker, a veteran of German business software giant SAP, took over as HP\'s chief executive in November and said he planned to refocus the company on software and make a major push into cloud services -- offering applications and storing data over the Internet. Apotheker said the purchase of Autonomy, which was founded in 1996 and makes software for companies to search and manage huge databases, fits his strategy. "Autonomy presents an opportunity to accelerate our strategic vision to decisively and profitably lead a large and growing space," Apotheker said in a statement. "Autonomy brings to HP higher value business solutions that will help customers manage the explosion of information. "Autonomy has an attractive business model, including a strong cloud based solution set, which is aligned with HP\'s efforts to improve our portfolio mix," he said. HP said it was looking at "strategic alternatives" for its Personal Systems Group, which makes desktop, laptop and other personal computers, which could include a full or partial separation through a spinoff or other transaction. HP said the process could be completed within 12 to 18 months. "The exploration of alternatives for PSG demonstrates our commitment to enhancing shareholder value and sharpening our strategic and financial focus," Apotheker said. The PC market has been flat amid an explosion of powerful smartphones and the arrival of hot-selling tablets such as the iPad. HP said revenue declined three percent at its personal computer division last quarter with a 5.9 percent operating margin. It said commercial client revenue grew nine percent and consumer client revenue fell 17 percent. In announcing it was discontinuing the TouchPad and webOS phones, HP said the "devices have not met internal milestones and financial targets." "HP will continue to explore options to optimize the value of webOS software going forward," it said. Gartner analyst Mark Margevicius said the PC business, while HP\'s largest revenue generator, "just doesn\'t produce all that much profit." "The PC market has transformed into a tactical, commoditized business," Margevicius told AFP. "HP, as a vendor, has many, many things within its coffers to sell to its customers. It sells services, it sells online stuff, it\'s got networking stuff, it\'s got software. "It\'s got all kinds of other things that from a business point of view make far better margins and profit than does the PC business," he said. "If the PC business was a business that generated 20 percent margins HP\'s not dumping their PC business," the Gartner analyst said.